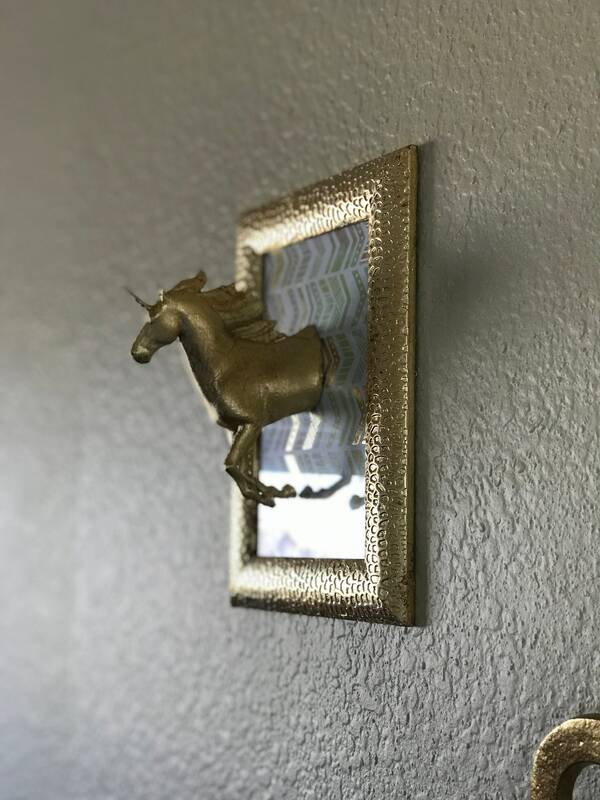 Unicorn wall art. 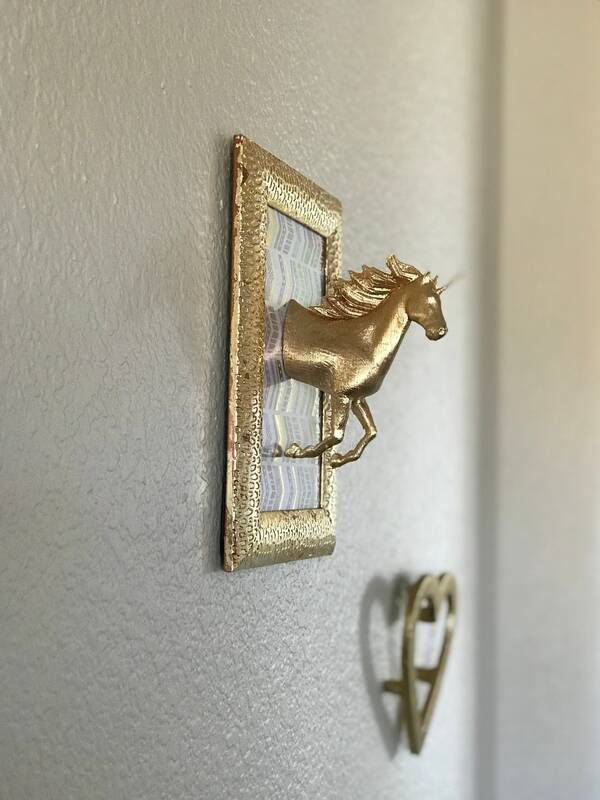 3D unicorn decoration. 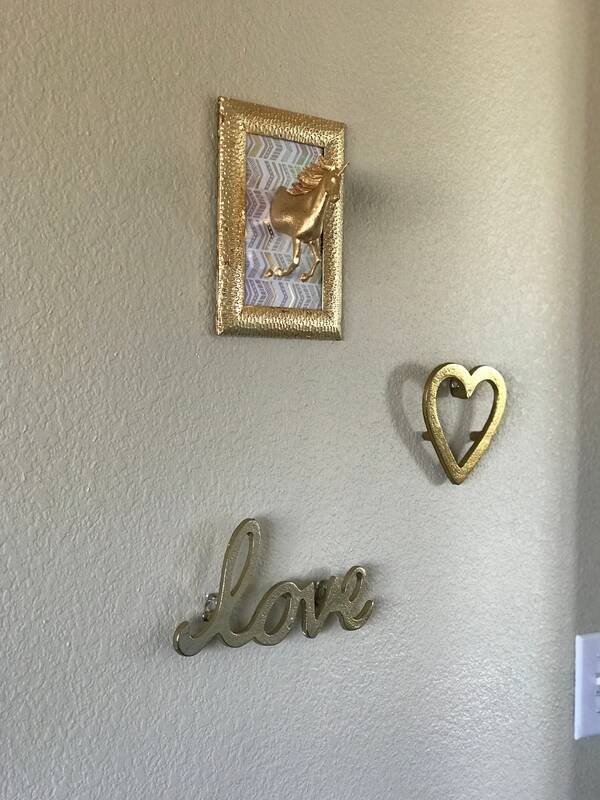 Girls room decor. 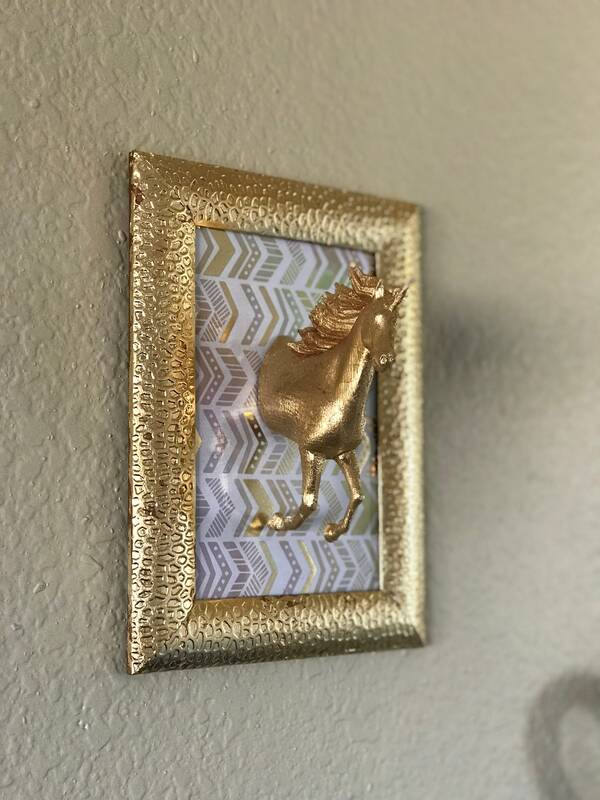 This unique unicorn picture is perfect for any girls or unicorn lovers room! 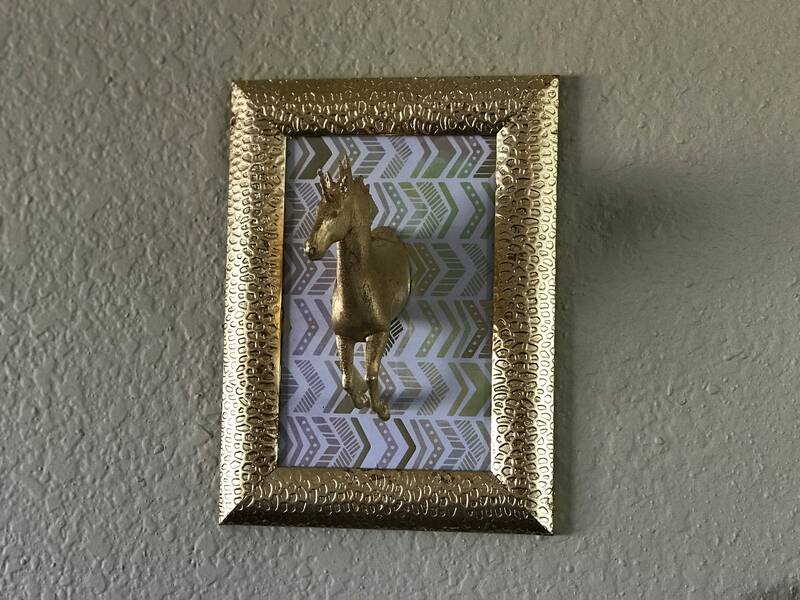 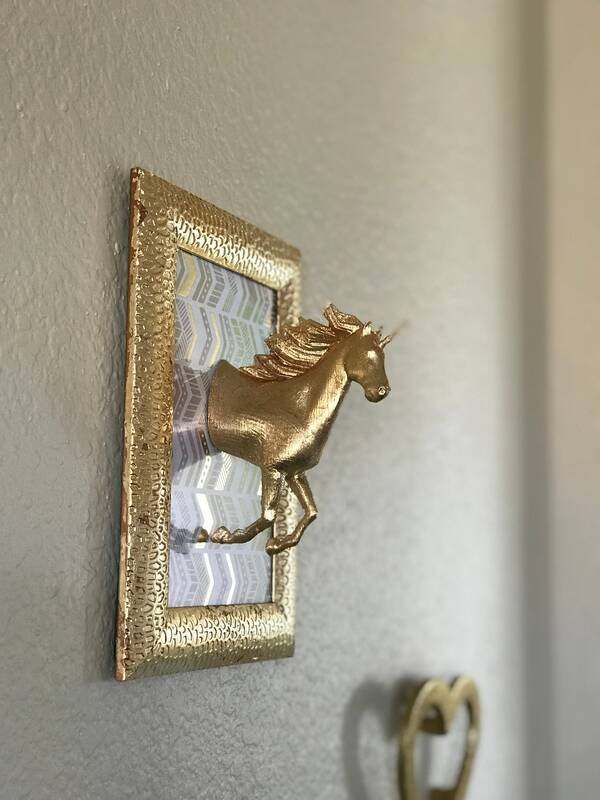 Frame and unicorn is gilded in gold, silver or copper. 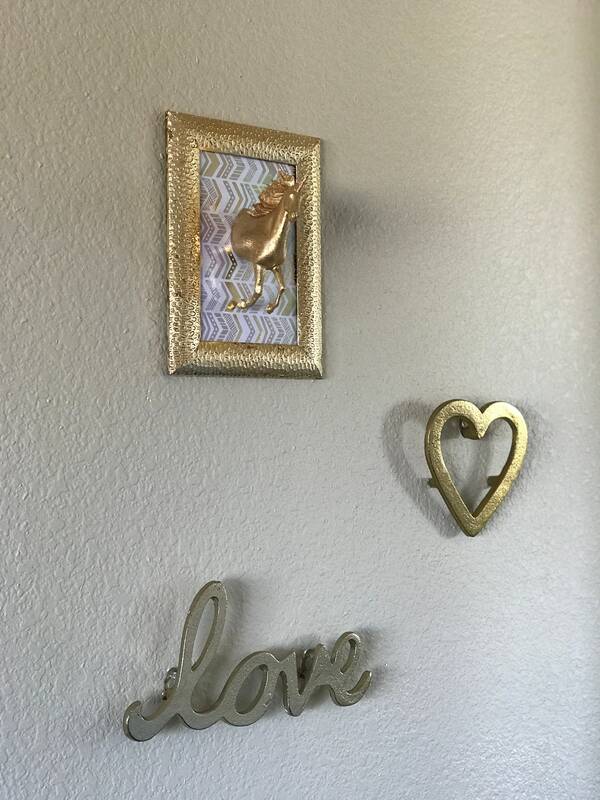 Comes with matching paper in frame which is changeable to any picture or pattern of your own! 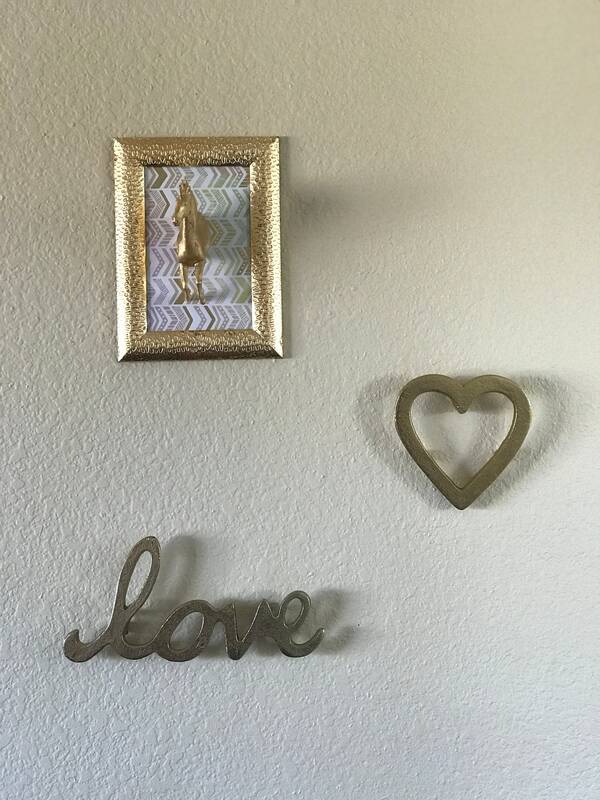 Frame is for a 4" by 6" photo. 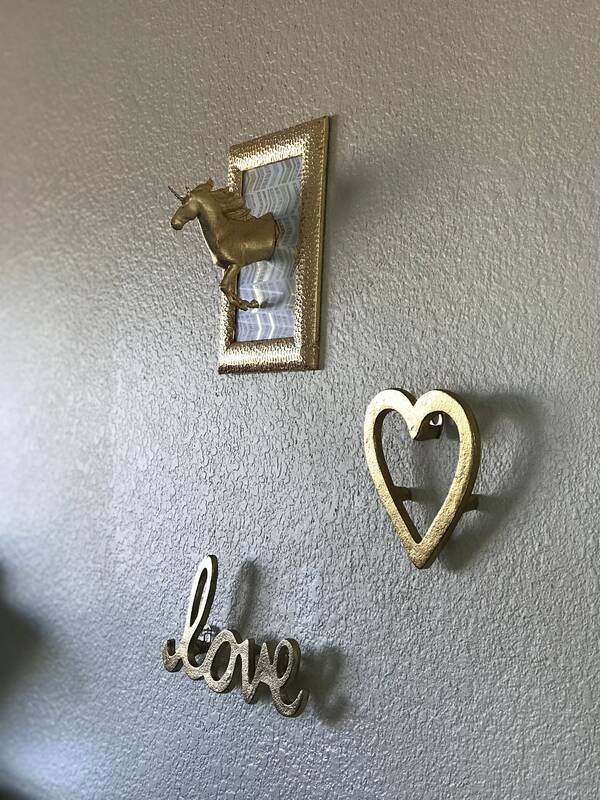 Outer frame dimensions is 7.75" by 5.75"